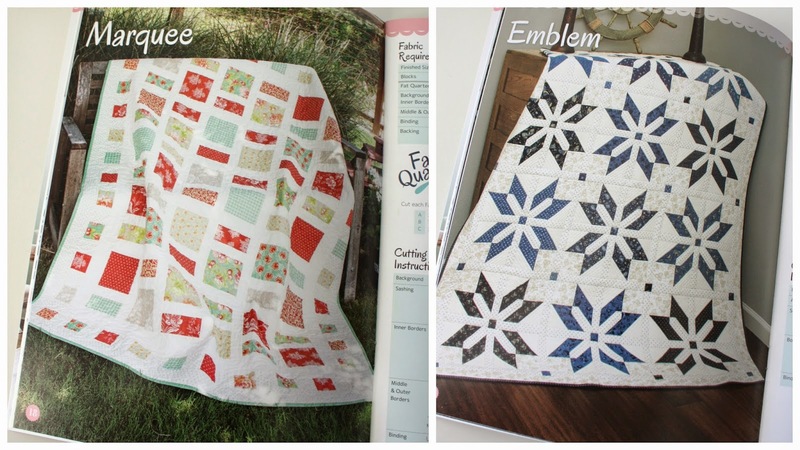 The Fat Quarter Shop has released a new book of quilt patterns called Fat Quarter Style. I was excited to be asked to be part of the Fat Quarter Style Blog tour and get to play with one of the patterns. I really liked the patterns in this Fat Quarter Style – they were all really fresh, new takes on traditional quilt designs – which is hard to do. I was asked to play with the Blossom block – which was a really fun one to make. I’m trying to push myself out of my primary-colors-with-white comfort zone when it comes to color scheme. So I got some of the new prints from the Cotton+Steel collections in this palette and pulled a few other prints from my stash that would coordinate. I used Kona Ash for my background color. And I like how it’s looking! After being without my sewing machine for a lot of the summer, it’s been fun to sit down and sew again – especially to have a little more time to do it now that my kids are back in school. I’m excited to finish it up and will share the finished result soon! Be sure to check out the other stops on the tour to see how other designers have put their own color-spin on the blocks and patterns in the book. Lots of great inspiration. August 25: Why Not Sew? What a beautiful book. Love the Emblem pattern. Thanks for sponsoring the giveaway! The book looks so interesting, I would love to win a copy! Lovely use of Cotton + Steel! Thanks for the chance to win. What an interesting take on trad!<br /><br />A lovely book and a lovely quilt. Great blocks and ash was a brilliant choice! This book looks lovely – i&#39;m especially tempted with the big flower one. I&#39;d love to win a copy, thank you. All of those patterns look absolutely lovely, they feel familiar and new, all at the same time! A beautiful book! I love the blocks you are making with the Kona Ash background. Thank you for the chance to win a copy of this book. This looks a great book – I love the Primrose block! What terrific patterns! So fresh and different. Would love to win this book! The book looks fun. Thanks for sharing. These quilts are fantastic modern heirlooms! I am off to check out the other blogs for ideas. I refer to the books on my shelf for patterns and inspiration. This book would be a great addition. I love how your blossom looks in those fabrics! I, too, need to branch out a bit with my color choices! I think my favorite quilt from the book is Emblem. I&#39;d love to make that one. They all look great though and I&#39;d love to win a copy of the book. I&#39;ve been following along in this hop and would love a copy of the book!! I still can&#39;t decide on my favorite quilt! They are all great! Love that pattern in Cotton+Steel with the grey background! I&#39;d only glanced at that pattern because it didn&#39;t appeal to me. I need to stop looking at fabrics/colors in the quilt photos and start just looking at the patterns! I love your choice of fabrics, they are so pretty! Thank you for the chance to win a copy…I would love to make some gifts using those patterns! I have just started using Fat Quarters for projects I&#39;ve been working on. I would love to win this book! I love seeing blocks in different colors…so inspiring and I LOVE yours! I would really enjoy this book. Thanks for the chance to win! I&#39;m going to have to travel back in time to check out the other blog posts on this tour! Looks like a good book. I want to make Blossom, Marquee, AND Emblem! Wow – love how your block just makes a totally new look with the different background and print fabric. Love this! The blossom quilt has been my utmost favorite when perusing this book for the first time. Mostly I think because I felt it would be the only one easy enough for me, but after this tour – the whole book is a favorite of mine!! Thank you for another giveaway chance!! Love your color choices for your quilt. I love seeing the different variations from this hop. I am always amazed how the look of a quilt can change depending on the quilter&#39;s fabric choice. Thank you Amy for sharing your talent &amp; inspirations with us! Looks like a great book to add to my quilting library! Love Cotton &amp; Steel with the gray! Pretty block! I love your &quot;stuff&quot;! Thanks for a chance to win. I love your fabric choices! This book looks like it has some great quilt patterns in it. It&#39;s exciting to see some fresh designs out there! I really love the Emblem pattern. The book looks great. Hope to win! Looks like an interesting book. I like your blocks. 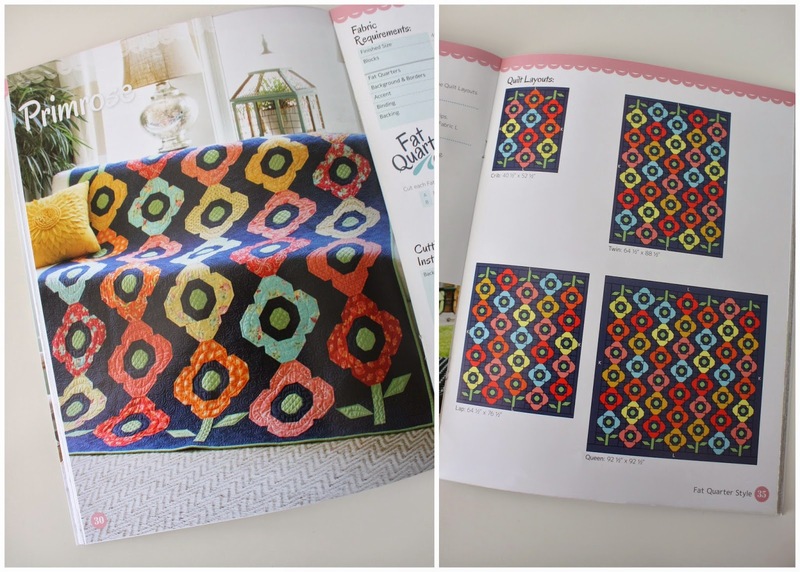 I have tons of FQs that need to be used up – love the patterns in this new book. Thanks. I have been really intrigued by this new publication. Great patterns that look easy and fun. I like the color choices of your blocks! What a terrific book, so many of the quilts in it look like they would be fun to make. Thanks for the chance to win! Wow! Your block is beautiful! Way to get out of comfort zone……. So many fun projects in this book! Thanks for the chance.<br />Love your Ash background! This looks like such an awesome book! Thanks!<br /><br />Please click on the delaineelliott above for my email link. Ooh, love your color choices! It looks like a great book! I&#39;d love to win this book. All the quilts look so beautiful and fun! Fat quarters are my favorite size to buy. Thanks for the chance to win a book that will encourage me to actually use them! I&#39;m loving the blossom block! This book looks like it has some great ideas and using quarters make it easier! I love the book and your use of cotton and steel. Thank you for the giveaway. I love the colors you are using in your quilt. I&#39;m trying to get away from only using white as a background, too. I just finished a quilt using Kona Silver with Sherbet Pips. It turned out great. The book looks like a great collection of quilts and I would love to win it. Thanks for the giveaway. This looks like a great book, I would love to win it! Cute block. I love all of the quilts in this book. I especially want to make the cover quilt. So cute!! I collect fat quarters and this book looks right up my alley. I am a beginner and in need of inspiration and directions:) Thanks for hosting the drawing! Love this fat quarter book! Okay, my fingers are crossed. Amy – seriously?? As if your book isn&#39;t depleting my pocketbook fast enough? Now you dangle this one in front of me!!! Delicious! And thanks for the chance! this book looks gorgeous, so may different patterns to try! Love your work. Great looking book! The book looks really interesting and I&#39;m loving all the blocks on the blog hop. Haven&#39;t commented on your England trip but from what you&#39;ve written and the photos, it sure looks like it was a trip of a lifetime. What great memories for you and your family. Thanks. I love the Ash background! Thanks to you and FQS for such an awesome giveaway and inspiring blog hop! I don&#39;t have many books but this is one that I know I would use as most of the patterns are ones that I would definitely make. I also find it fun to step out of my normal color palette. Even when I&#39;m sure I won&#39;t like a new combination, it somehow comes out better than I can imagine (usually). This book looks like a good one and I have quite a collection of fat quarters that could be used. Thanks for the giveaway. I don&#39;t know if my comment went through or not, so I am trying again. I love your quilt; I have been a little intimidated by some of the colors in the Cotton &amp; Steel lines but here they shine. I also have a problem with only using white or off-white for my backgrounds. Thanks for the opportunity to win! I really like this book! All the bloggers on the tour have done such a great job choosing fabrics and showing off the patterns! Thanks for the change to win!! I want to see Primrose up close. Love the look of your quilt! Your Blossom blocks look great! I can&#39;t wait to get a copy of the book. Thanks for the chance to win. Thank you for the introduction, looks very inspiring indeed. Looks like a great book! I&#39;m in the mood to quilt now that kids are back to school 🙂 And I&#39;m with you on the primary color/white scheme!! My favorite, too. It turned out wonderful. I can&#39;t be without a machine for 2 days. I go through withdrawals. A whole summer, never. Those blossom blocks look like the ideal way to use my leftover strips from a postage stamp quilt. Thanks for the giveaway. Love your blog. Keep inspiring us. I love the quilts in this book! I love the fabrics you chose! I have loved everyone&#39;s preview of the book. Blossom is one of my favorites. It&#39;s always fun to use background fabrics besides white and yours looks awesome! This book looks great, thanks for the chance to win a copy. It&#39;s always nice to see new twists on familiar designs – yours looks cool with those colours. The Fat Quarter Shop has some very creative ideas. Thanks for the chance to get their book. So many great quilts, thanks for the chance! I really like the fabrics you chose for your sample. Such a different feel than the original. Thanks for hosting the giveaway. Looks like a fun block! I also share your love of primary with white and I really like the color scheme you&#39;ve chosen – I&#39;m definitely trying to push myself to try other color combos as well! These are a fun collection. I&#39;d love a copy of the book. This book seems to have so many amazing quilts in it and the fact that they come in more than one size is great! Really lie how your blocks came out! Love that you changed things up and used the ash for your background! I love the contrast between the bright colours and the Kona Ash background! The block is beautiful too! This book looks to have some wonder quilts in it! I&#39;d love c the chance to win a copy please! This book is a must have for sure! I&#39;m sorry you were without your sewing machine most of the summer! On the flip side, your blocks are looking lovely. I should probably break out of my color palette too. You make it look so easy! I have their first book, and would love to try some of the patterns in the second. Thanks. Love your fabric choices for the blossom block. It came out wonderfully! Thanks for the book preview. I noticed right away that this is not your usual color palette. It still looks fantastic, however! This looks like a fun book and I like your choice of colors especially your gray background. I have been wanting to try gray instead of my usual white. I&#39;ve been following the blog hop and this book has so many great patterns I can&#39;t wait to try. This book looks like so much fun! I absolutely love the quit on the front! What a great book!! Would love to win!! Thanks. This book looks so great. If I don&#39;t win, I think I&#39;ll have to add it to my collection anyway. I love what you did with the blossom block! Thanks for the chance to win! Beautiful selection of fabrics and sweet block. Thanks for sharing. Great choice of background to go with Cotton + Steel! I do like your choice of fabrics for these blocks. Would love this little book for myself. I love all of the quilts in this book! Would sure love to win a copy! I really like Blossom and Emblem so far. Can&#39;t wait to see the rest of the book! Gorgeous! I can hardly wait to see the completed quilt. This pattern is stunning! Love the look of the ash. Have enjoyed this blog hop, thanks for sharing. Looks like a great book!. Your block looks great! Thanks for the chance to win. The book looks fresh. Love your block. Thanks for the chance. Your quilts are beautiful, would love to be able to make one someday! Thanks at a chance for the great book! Love the blossom block. Thanks for the chance to win a copy of the book! What a great resource! I especially appreciate the multiple sizes given for each quilt. The primrose and the blossom blocks both look wonderful! I am usually partial to star blocks! Thanks for the opportunity to win! Love your blossom block and thank you for the chance to win the book! would love to win, thanks so much! I have tons of FQ&#39;s to work with too. Thanks for the chance to win. The book looks great. I have a nice stack of fat quarters just yearning for a book like this! Thanks for the giveaway. I love your block… The background really makes the fabrics shine!!! I would love to win a copy of this book!! Thank you!!! I have a whole drawer full of FQ&#39;s, and I like the look of the patterns shown. Would love to win ! Thank you for the chance to win. I look forward to your blog popping up in my email and seeing your new blocks…. Love the fabrics in your blossom block. This book looks like a real winner and a great addition to anyone&#39;s library. Love your fun fabric choices and thanks for a chance to win! Your quilt is amazing! I am so new to quilting and would love to have this book as a go to! Thanks for a chance to win. I love the background you chose! This looks like a fun way to play with a bunch of FQ&#39;s. Thanks for the chance! I really like the blossom block! This book looks like it&#39;s filled with good ideas! I love the fabrics and colors you chose! The flower quilt looks fun too. I too love white with colors, but I do like that Kona Ash you are using. Gonna have to look for that to try Would love to win that book. And … I love your blog! This book looks like so much fun! I love the primrose quilt. Thanks for the chance to win! Your block is beautiful. Thanks for the chance! Love the fabrics you&#39;ve chose for your block. Thanks for a chance to win the book! Love the fabric you are using!! Love the material you selected. I have enjoyed every quilt I&#39;ve seen from this book, definitely one to get. Thanks for the opportunity. I have some fat quarter bundles just waiting to become quilts!! Thanks for the giveaway. My fat quarter stash certainly could be put to good use making these great patterns. I really love the cover of this book, Any star pattern I just love! !<br />Thanks for sharing!! Loving the blog hop. and also Love Cotton &amp; Steel with the gray! Your blocks look great! Thanks for the giveaway. I love everything about this book and want to make all thi quilts in it! Your blocks are beautiful! I think I&#39;d really get good use out of this book too! Love your blocks! Looks like a fun book -hope to win! Love the color combos in your blocks! Thank you for this opportunity. This looks like the perfect book to use some of my many fat quarters! Thanks for the giveaway!! Thanks for the chance, I would love a copy. I certainly have no shortage of fat quarters to choose from! Would really like a copy of the book. Like the fabric you chose. I love the fabrics you used in your blocks. The Blossom Block is now my fave pattern n the FQ Style book. The Kona Ash background is awesome.<br />Thank you Amy for sharing the opportunity to win this awesome book. I love that each pattern has the 4 size quilts. Gotta be something in there for everyone on my list whom needs a quilt! This book looks awesome! Thanks!<br /><br />Please click on the delaineelliott above for my email link. Would love to win this book. Thanks for a chance to win. looks like a fun book – lots of inspiration. I like the kona Ash background. Thanks for the giveaway. The more of this book I see the more I like it. I really like all the different sizes. It has been so interesting to see so many other designers use of their take on the different blocks in the book.<br />Thank you. I love the patterns in this book. Your gray made a nice change of a neutral color for a background. Thanks for a chance to win. I love this book. On the book tour I have seen many great variations and would love to make them. Love the colors you chose! It&#39;s a fun block. Thanks to this book tour, I&#39;m getting lots of ideas on which quilts to make – now I just need the book. Thanks for being a part of the book tour &amp; offering the giveaway. Gorgeous block! Would love the book! Your blossom blocks are lovely! I like the Primrose too! There are so many lovely patterns in this book. I just love the Primrose quilt. Thanks for the lovely giveaway. The book looks like a winner, and your block is beautiful as always. I wish some of your color inspiration would drift my way! Thanks for the giveaway. What a fun book! I&#39;m always looking for more ways to use up fat quarters. A great combination of colors, and a great block. I&#39;m also trying to break away from white backgrounds! Love your color choice! This color combo is amazing! Thank you for the chance to win. You do beautiful work. Looks like a fun book! It would be great to have so many patterns for fat quarters. I really like the fabrics you chose as well! Love that the book has measurements for all different size quilts! Thanks for the opportunity to win such a great book! I love your Blossom Block. This has been such a fun Blog Hop to follow. 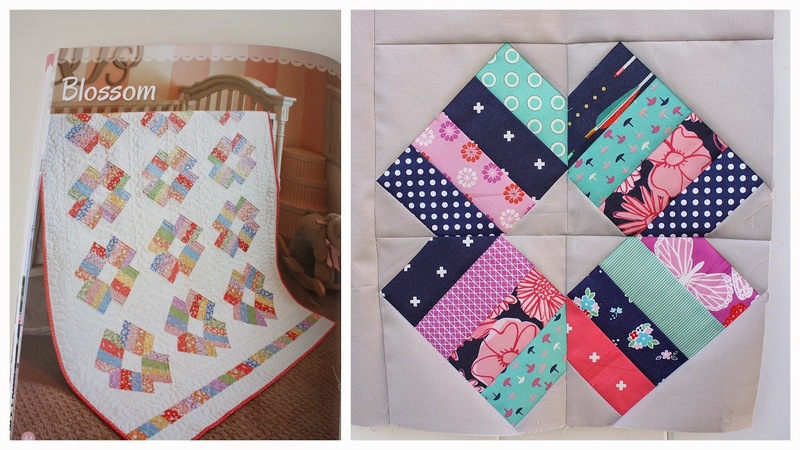 Love how your blocks are turning out – looks like there are a lot of great quilts in this book! Love the way your blocks are turning out – looks like this book is a winner! so exciting! thanks for the opportunity! I love the colours you used in your quilt!